We all know the “why?” of advisory and our need as accountants to stay relevant and do work of value and purpose...but the “how?” can be the tricky part that scares us away from the transformational change that an advisory strategy can create. Join our CEO Richard Francis - a Trusted Advisor for over 20 years at both a large firm and his own boutique consultancy - for this engaging, useful and actionable webinar. Richard will provide practical and proven advisory pathways to maximise this huge opportunity from his own experience and from those progressive firms he deals with daily. 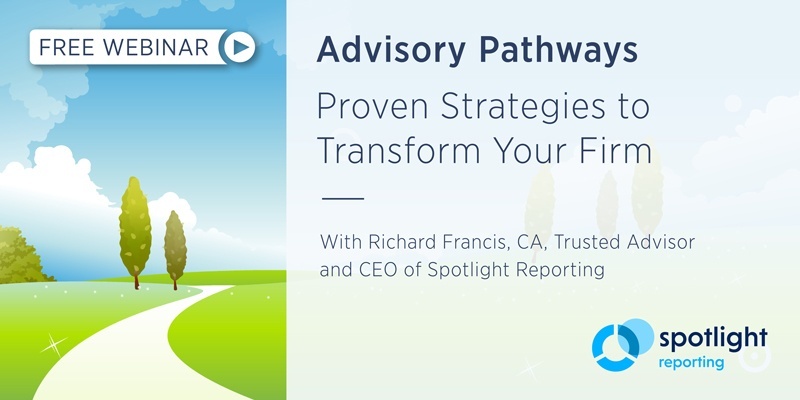 Richard will also share some Spotlight Reporting product updates and roadmap secrets that will really help you deploy well and plan your future service offerings. Explore 5 advisory pathways to grow advisory. Be inspired to act and make a transformational difference to your firm, team and clients. Understand how to use the Spotlight tool set now - and what’s coming soon! We've hosted over 25 events across the United Kingdom, New Zealand, Australia, and the United States since 2017 - and received fantastic feedback from the 2,000+ accountants and advisors who attended them. To spread the Transform message wider to help accounting firms around the globe get ahead of the game, we've decided to run an online version of these events, with fresh content and a real focus on the “how to” of advisory. We hope to see you at the webinar! 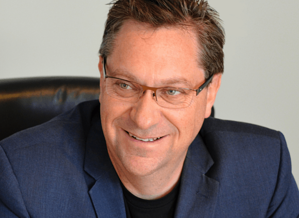 A Chartered Accountant for 20+ years and CEO/Founder at Spotlight Reporting, Richard was also General Manager of Workpapers for Xero and a Trusted Advisor with over 20 years of advisory experience. Richard talks regularly about how the profession could and should move to a proactive mindset that empowers accountants to do work of value and purpose. As the director of his own ‘boutique’ professional practice in Wellington, Richard saw a need for the improved use of analysis, automated reporting functionality and better forecasting options for his clients. This led to the development of Spotlight Reporting and the launch of the company at Xerocon 2011. Spotlight Reporting now works with over 1,000 of the best accounting firms in the world and has a team in New Zealand, the UK, Australia and the US.